Ed. : Northumbria grey and red single deck bus 251, registration G251SRG, seen here at Showbus 2010 (see Group link below for more of this event). 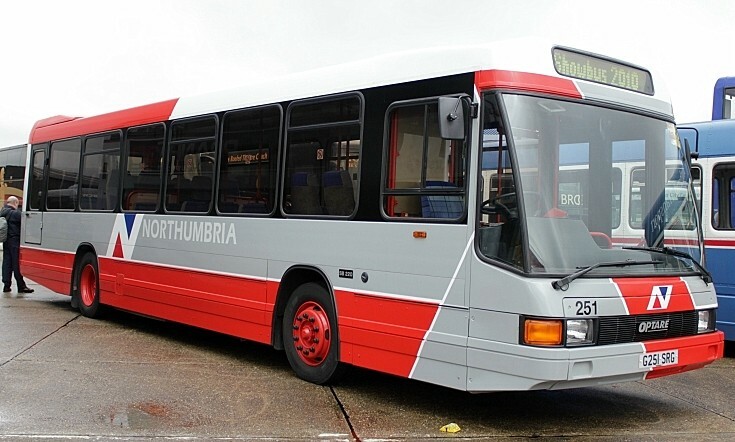 This DAF SB220 with Optare Delta body was built 11/1989 for Northumbria, fleet number MS 251. See picture #2017 also for this bus two years earlier.